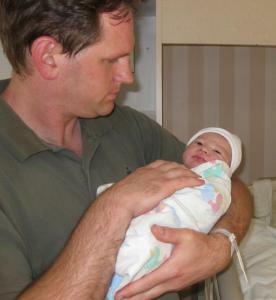 On March 25, 2010 at 3:25 p.m., Logan Matthew Heyman came into this world. 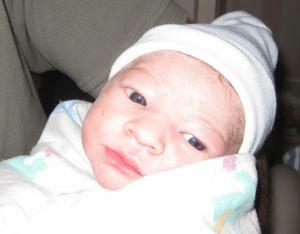 He was 20 inches long and weighed 7lbs 2 oz. He has a full head of hair, a conehead, and a flattish little nose that doesn’t belong to either of us. Without further ado, I give you Logan! See here for more Logan photos.